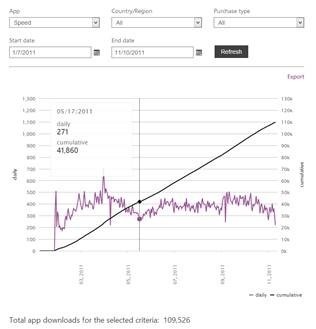 I started developing for Windows Phone about 3 years ago when I got my hands on a pre-release Windows Phone device. 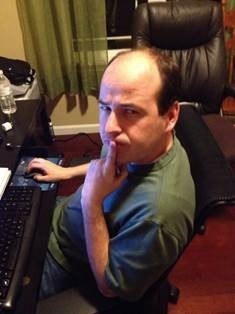 By day I’m a .Net software developer for a large company, by night I’m an Indie Game developer hobbyist. I have been building mini games ever since grade school. Sure, I dreamed of making money doing it, but I loved doing it anyway. When the Windows Phone was released, I was excited to develop for it. Earlier I had ported three mini games to the iPhone, but was very frustrated with all the hoops I had to jump through. I had made games in XNA, Flash, HTML 5, and Silverlight. The main driver for me to build for the Windows Phone was the development tools. This made building mini games more enjoyable as I could finish the game with my limited time. I didn’t have a lot of time (and still don’t) to work on my mini games. This hobby turned into a second income once I started posting apps in the store. This changed my focus more toward how to make more money. The Marketplace will feature your app in the “new” section to get you a good start, but you are on your own from there. The challenge I faced with promoting my first app is that I had no budget. This was hobby turning into a mini business with no capital. The wife would not be happy with me throwing hard-earned money into a high risk, unproven idea with no indication of return. I had submitted my apps to review sites and posted YouTube videos. The problem with these marketing techniques is that they don’t scale. To avoid the risk I decided to use AdDuplex’s ad exchange program. The only risk I took was opportunity cost of not showing MS ad for profit, but 0 percent chance of losing personal family money. The other plus was that I didn’t have to worry about earning the money, waiting for it to be deposited in my bank account, then paying for marketing, and doing the taxes. I heard about AdDuplex on the web when researching mobile ad options for the Windows Phone. I also met Alan at a Microsoft Mix conference the year before in a 10k coding contest we won (If I remember right, I took 1st and Alan took 2nd :)). I started using AdDuplex in early 2011 when I published my first set of games. 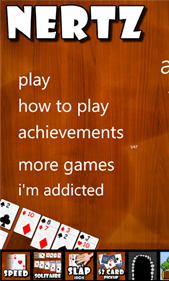 The first app I used to try AdDuplex was Speed (the card game). At first, I used AdDuplex as a backup but soon after changed it to 50% AdDuplex / 50% MS Ads. The reason was to allow my app to hold its position in the marketplace. The ranking in the marketplace is highly based on downloads. If you have a good app, people will download it and it will go up in the ranking and get more downloads and go up more. At some point, normally sooner than later, you app will go down. Then receive less downloads from less exposure, then continue the cycle until the app is practically undiscoverable. This happens to even the best of apps. Now this is only the case if there are no other marketing efforts. AdDuplex allowed me to, in a sense, put my marketing on autopilot and let me work on new apps without letting this app die. It is much easier to keep an app high in the marketplace then try to start from scratch after is falls. I later built an ad control that I could change the distribution from my server so I can adjust for poor MS eCPM or to mass market the app. I have also paid for large campaigns instead of gaining credits by showing AdDuplex ads. At first, I wasn’t sure how much it was helping, I’m a numbers guy. I wanted to see how well AdDuplex was increasing my downloads. AdDuplex has its analytics for ad clicks/impression and MS has its analytics for downloads, but I still could not tell where they were coming from. Also not every click equals a download. So the only way was to increase my AdDuplex ads to see if the downloads go up and by how much. Not every click turned out to be a download, I guess that was reality. What I did learn was that if I did get the few extra downloads, I would have a higher ranking and then get more downloads from that exposure in the marketplace. So, the marketplace seems to be a multiplier of all your apps marketing efforts which needs to be more than 0. In this chart, you can see the common marketplace ride (January 2011- March 2011). It goes up (if good) then falls down. Around March I started using AdDuplex for Speed. You can see the downloads stopped falling and held steady through the end of the year. Speed gave up some of its ads to AdDuplex but continued to make money for the next 3 years. I used the popularity of my first app to jumpstart the next ones, especially my other card games. Some time I’ll add a menu item to the start screen. They are always included in the more apps section, but recently I added an “app bar” at the bottom of the start screen with the icons of the related games. I have some cards games and some kids games. I no longer strongly cross promote between the two genres after analyzing the referrals from within my apps, but Speed did jump start my kid games as well. I still use AdDuplex in my most popular app, Speed. 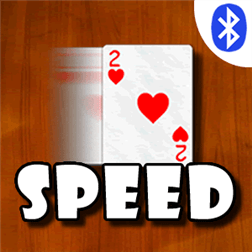 Speed is a somewhat popular card game and can hold its ranking with the moderate amount of marketing. In some cases, Speed still is the main gateway to my other apps. For example, Nertz has an even higher retention rate than Speed, but not enough popularity to hold itself up in the rankings. AdDuplex has also helped to get my apps up into the noticeable ranking in other countries where I had no rankings and was not visible. My current launch strategy is to update all my apps “more section” and/or “app bar” to include the new app. This is done now by updating an xml that is read by each app. Sometimes I pay for a marketing campaign with AdDuplex or just point AdDuplex credits to market for the new app. I submit my game to review sites. I will do each of these for at least a month as the marketplace rankings are based on the last months’ worth of downloads. Sometimes I don’t worry about mass marketing the app until I know people like it and the major bugs are worked out. Sure, I miss out on the New Apps section boost, but I’m looking for ways I can keep my app up not just a one shot. When releasing my Window 8 app I used AdDuplex too. I don’t get a lot credits from it yet as my user base is growing. I have used AdDuplex to get Speed for Win8 jumpstarted until it can build up its user base to pay for its own marketing. Its revenue has been growing slowly. Once I get my other games published on Windows 8, Speed should be able to pull them up. 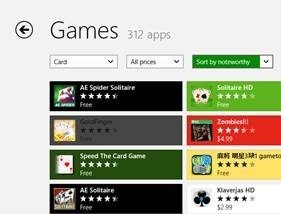 And Speed should also get a boost to be in the “top free games” section which it is not yet. It is very close now sitting at #3 of Card games sorted by noteworthy. My goal is to be able to build more apps without my other apps dying. That way I can build my revenue up over time and AdDuplex will be an integral part of that strategy.